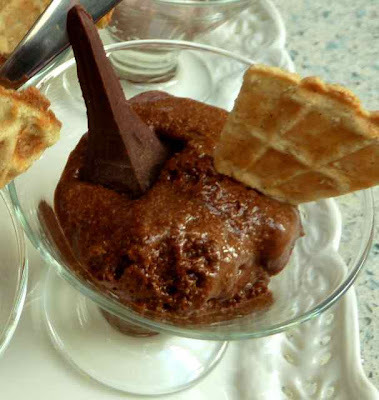 Mousse is a light, airy, rich and decadent French treat. Traditionally it is made with eggs and heavy cream. You can make both sweet and savory mousse. For my French Tea Party I made a chocolate mousse and I also made a dairy and egg free version that is delicious, rich and creamy. 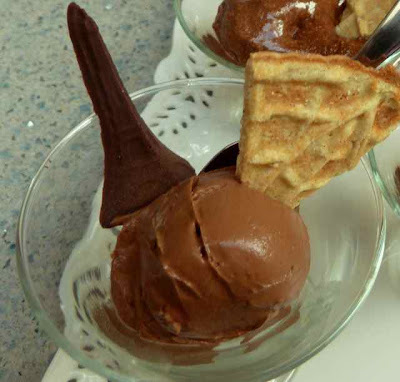 The vegan mousse is much thicker and denser than the traditional mousse. I decorated both with homemade Lukken triangles (dairy free and dairy-full) and dairy free homemade chocolate Eiffel Towers. For the Chocolate Mousse I used the recipe “Black Velvet Chocolate Mousse” from the cookbook “Luscious Chocolate Desserts” by Lori Longbotham. Being a chocoholic, I just love this cookbook. Every recipe I have tried in it has come out wonderful and delicious. There are no gluten ingredients in the mousse so the recipe can be used as is. I used a recipe by Jill Harris for the Vegan Chocolate Mousse. Again, there are no gluten ingredients so the recipe can be used as is. I have made this recipe many times before, it is easy and tastes really great. Add the sugar and whisk until smooth. Adding the sugar tot he melted chocolate mixture. 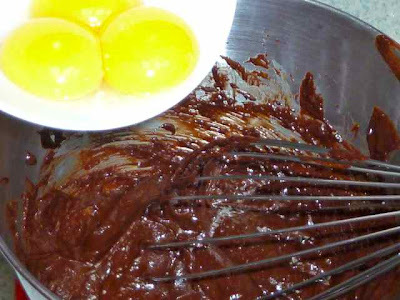 Whisk in the egg yolks one at a time. Whisk in well after each addition. Adding the egg yolks one at a time. Mixing in well after each addition. Beat the egg whites with an electric mixer in a deep bowl until stiff peaks form. With a rubber spatula or a large whisk fold in 1/3 of the chocolate mixture. If you have never folded in egg whites and or made mousse I would strongly suggest that you read about how to do this or watch a Youtube video before folding in the chocolate or you may end up with chocolate soup instead of an airy mousse. Adding 1/3 of the chocolate to the egg whites. Repeat with the remaining chocolate in two more batches until well blended. You can spoon out the mousse into individual serving cups and then refrigerate or wait until ready to serve and spoon out the well chilled mousse. Add the tofu to the bowl of a food processor and blend until smooth. 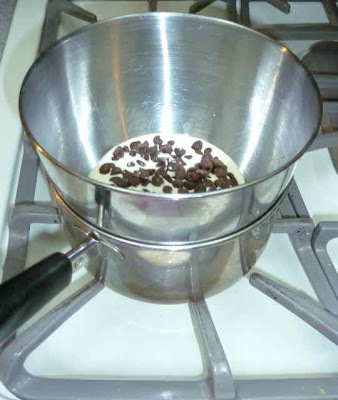 Melt the chocolate chips in a heatproof bowl over a pot of simmering water. Add the chocolate mixture and the vanilla to the tofu in the food processor and mix until well blended. Chill until firm. I chilled it overnight. You can spoon out servings into individual bowls and then chill or you can chill the whole bowl of mousse and then spoon out individual portions when ready to serve. This recipe will be firm when chilled and easily keep its shape after scooping it out. Make half a recipe Chocolate Coating from my Buckeye recipe as follows. 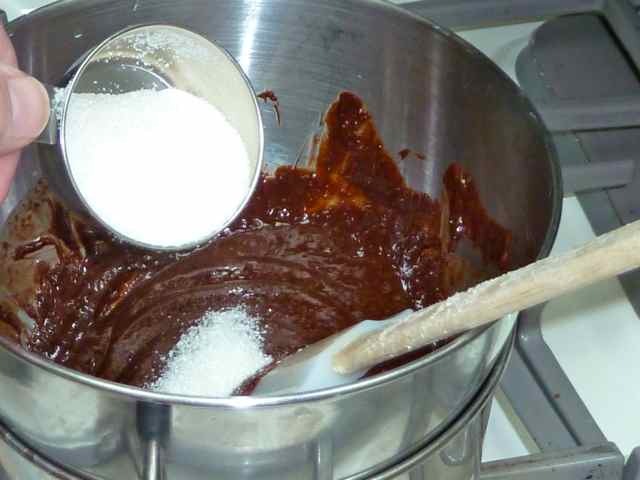 Melt chocolate and shortening in a heatproof bowl over a pot of simmering water. 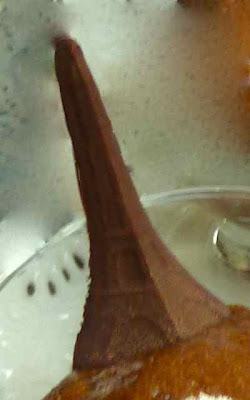 Use a chocolate mold (sold in stores that sell chocolate making supplies) with the desired shape such as The Eiffel Tower. Fill the molds with the Chocolate. Tap the mold on the counter to release air bubbles. I had to take a toothpick and stir the air out of the smaller indentations and then tap again. 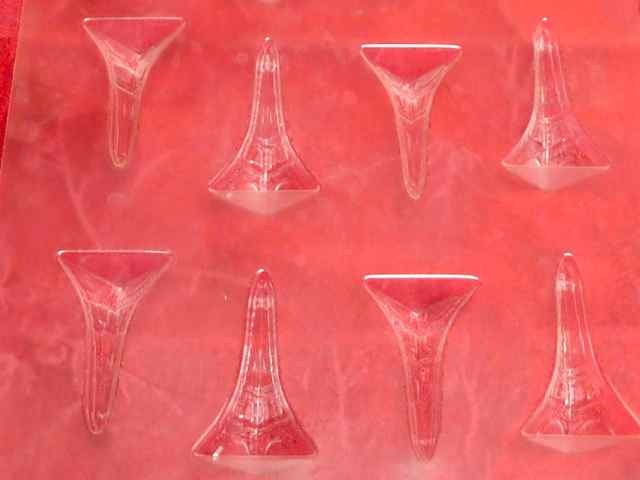 Turn the mold over and tap it on the counter to release the chocolate shapes. Store in a cool dry container. You can make these several days ahead of time. Make a half a recipe of GF Lukken dough, regular or dairy free or make a whole recipe and enjoy all the extra cookies. Make two Lukken as directed. 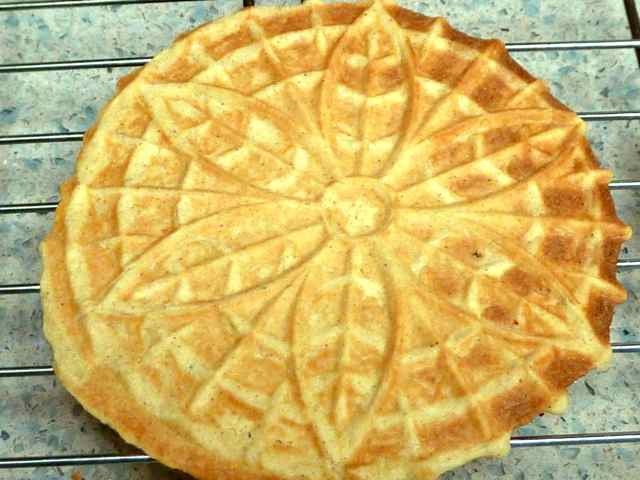 Remove the hot Lukken from the waffle/pizzelle maker and place on a cutting board. Cutting Dairy Free Lukken with a pizza cutter. While still hot cut each Lukken cookie into eight pieces using a pizza cutter or a sharp knife. Repeat until the desired number of triangles are made. Set out the desired amount of serving bowls or dishes. Spoon out portions of Chocolate Mousse (regular or dairy free/vegan) into the serving bowls/dishes. 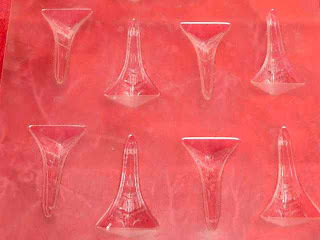 Put one Lukken triangle into each serving of Mousse, with the point facing the mousse. Put one Chocolate Eiffel Tower on each serving of Mousse. Voila! You have Chocolate Mousse for a French Tea Party. GLUTEN FREE CHOCOLATE MOUSSE Ingredients 4 ounces Semisweet or Bittersweet Chocolate - chopped (I used chocolate chips.) 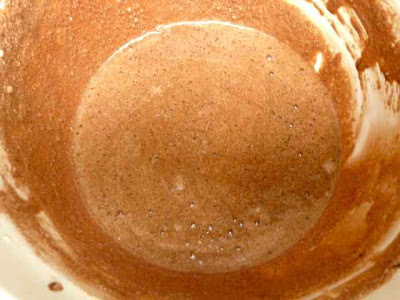 1/4 cup Heavy Whipping Cream 1/4 cup Sugar (I used evaporated cane juice crystals.) 4 large Eggs - Separated Pinch Sea Salt Directions Melt the chocolate in a heatproof bowl over a saucepan of simmering water. Add the sugar and whisk until smooth. Remove the bowl from the heat. Whisk in the egg yolks one at a time. 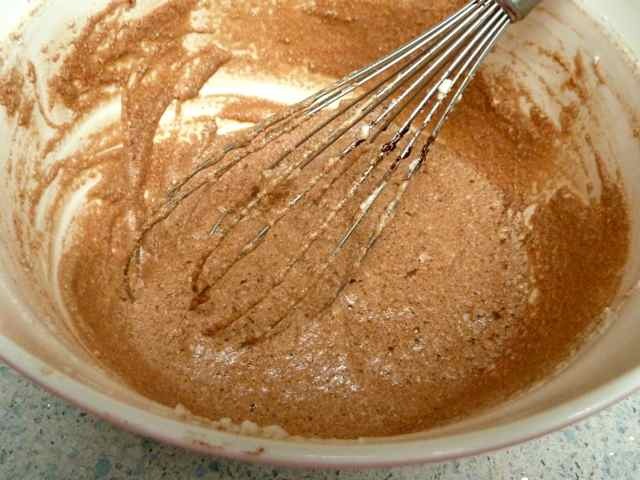 Whisk in well after each addition. 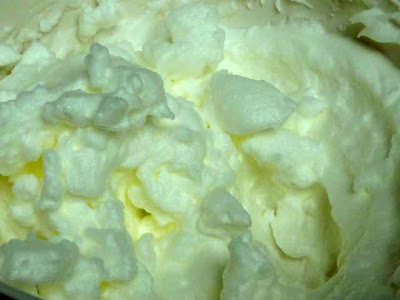 Beat the egg whites with an electric mixer in a deep bowl until stiff peaks form. 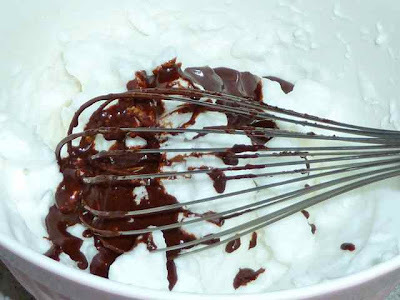 With a rubber spatula or a large whisk fold in 1/3 of the chocolate mixture. If you have never folded in egg whites and or made mousse I would strongly suggest that you read about how to do this or watch a Youtube video before folding in the chocolate or you may end up with chocolate soup instead of an airy mousse. Repeat with the remaining chocolate in two more batches until well blended. Refrigerate for at least 4 hours or overnight. 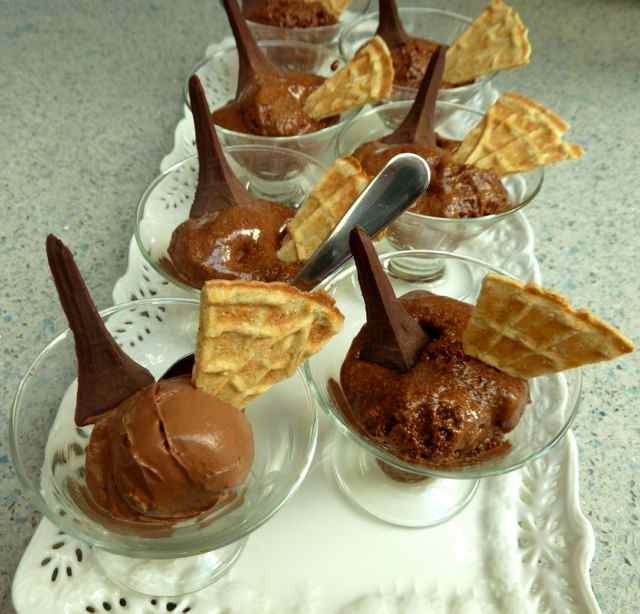 You can spoon out the mousse into individual serving cups and then refrigerate or wait until ready to serve and spoon out the well chilled mousse. 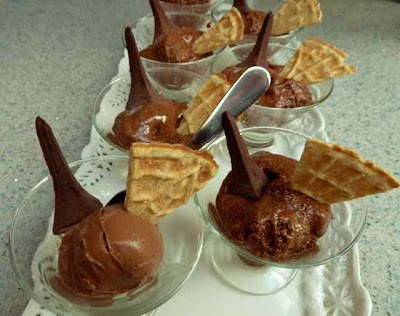 VEGAN CHOCOLATE MOUSSE Ingredients 1 package/ 12 ounces Firm Silken Tofu 10 ounces Vegan Chocolate Chips 3 Tbs. Maple Syrup (I used 2 Tbs.) 1 tsp. Vanilla Directions Add the tofu to the bowl of a food processor and blend until smooth. Melt the chocolate chips in a heatproof bowl over a pot of simmering water. Stir in the maple syrup. Add the chocolate mixture and the vanilla to the tofu in the food processor and mix until well blended. Chill until firm. I chilled it overnight. You can spoon out servings into individual bowls and then chill or you can chill the whole bowl of mousse and then spoon out individual portions when ready to serve. This recipe will be firm when chilled and easily keep its shape after scooping it out. CHOCOLATE EIFFEL TOWERS Ingredients (this is half a recipe) 6 ounces Semisweet Chocolate Chips - Dairy Free/Vegan 1 1/2 tsp. Shortening (non hydrogenated such as Spectrum) Directions Make half a recipe Chocolate Coating from my Buckeye recipe as follows. Melt chocolate and shortening in a heatproof bowl over a pot of simmering water. Stir until smooth. Use a chocolate mold (sold in stores that sell chocolate making supplies) with the desired shape such as The Eiffel Tower. Fill the molds with the Chocolate. Tap the mold on the counter to release air bubbles. I had to take a toothpick and stir the air out of the smaller indentations and then tap again. Chill in the refrigerator until set. Turn the mold over and tap it on the counter to release the chocolate shapes. Store in a cool dry container. You can make these several days ahead of time. GF LUKKEN TRIANGLES Make a recipe of GF Lukken dough, regular or dairy free. Make two Lukken as directed. Remove the hot Lukken from the waffle/pizzelle maker and place on a cutting board. 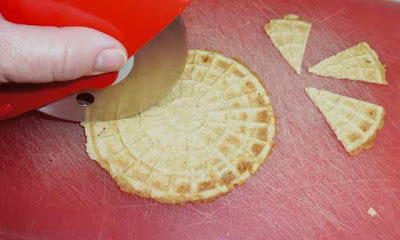 While still hot cut each Lukken cookie into eight pieces using a pizza cutter or a sharp knife. Repeat until the desired number of triangles are made. ASSEMBLING THE DESSERT Set out the desired amount of serving bowls or dishes. Spoon out portions of Chocolate Mousse (regular or dairy free/vegan) into the serving bowls/dishes. Put one Lukken triangle into each serving of Mousse, with the point facing the mousse. Put one Chocolate Eiffel Tower on each serving of Mousse. Voila! You have Chocolate Mousse for a French Tea Party.